Margaret Virginia Bolden died on Saturday, Oct. 27th, 2018, at Merit Health River Region Medical Center in Vicksburg, Mississippi. She was 77. She was born on September. 5, 1941, to her parents Joe Lee and Sarah Virginia Young She worked as a cashier for McRae’s in Vicksburg for 22 years. She was preceded in death by her parents and two brothers and two sisters. 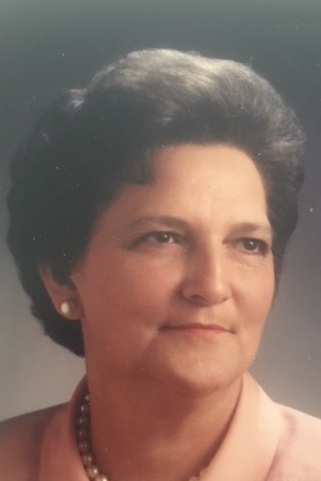 She is survived by her husband James Arlon Bolden, Sr., her daughter, Gretta Bolden Sorey, of Jackson, Mississippi and son-in-law Charles Edward Sorey II, her son, James Arlon (Jay) Bolden, Jr. of Broussard, Louisiana and daughter-in-law Lawoka, six grandchildren, Sarah Margaret Cote (Scott) of Brandon, Mississippi, Mallory Elizabeth May of Jackson, Mississippi and Gabrielle Virginia May of Wayne, Pennsylvania, Emily Bolden Bueche (Blair) of New Roads, Louisianna, Jacob Andrew Bolden of Broussard, Louisiana and Karakay Bolden of Denim Springs, Louisiana. One great-grandchild, Carter David Bueche of New Roads, Louisiana. Visitation will be from 10:00 a.m. until 11:00 a.m. on Tuesday, October 30, 2018 at Glenwood Funeral Home. Graveside services will follow at Greenlawn Gardens Cemetery with the Rev. Billy Brumfield officiating. Pallbearers will be Buster Justice, George Boyette, Cole Clark, Jacob Bolden, Scott Cote and Blair Bueche.